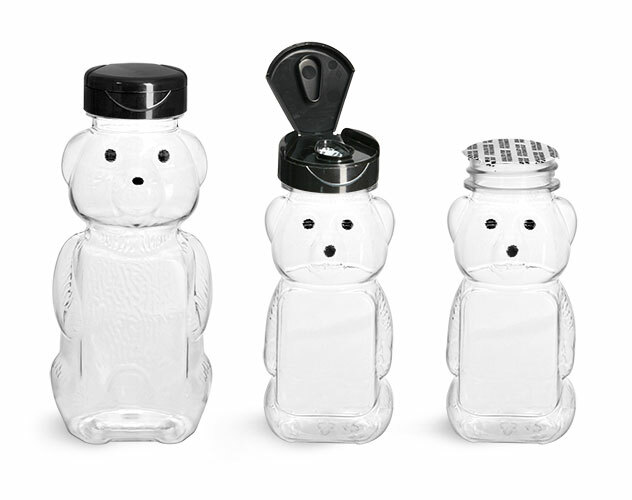 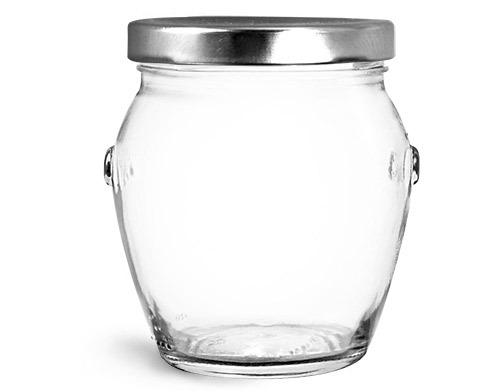 Specialty shaped clear glass honey pot jars are available with gold metal plastisol lined caps. 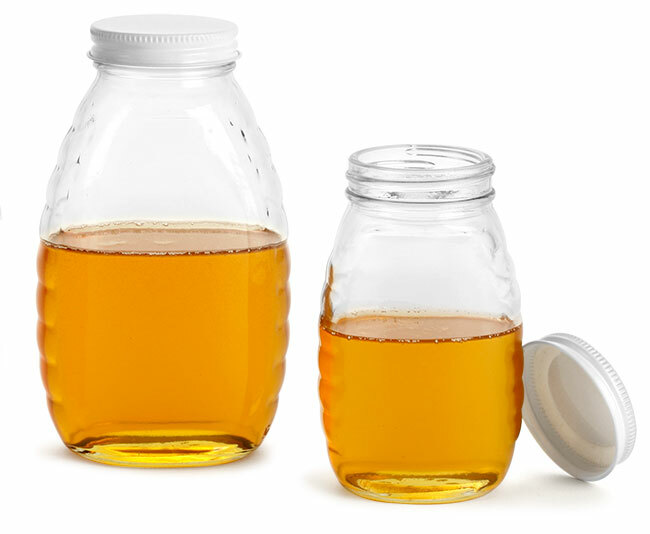 The plastisol liners create hermetic seals when activated, which helps to maintain freshness of your honey during storage. 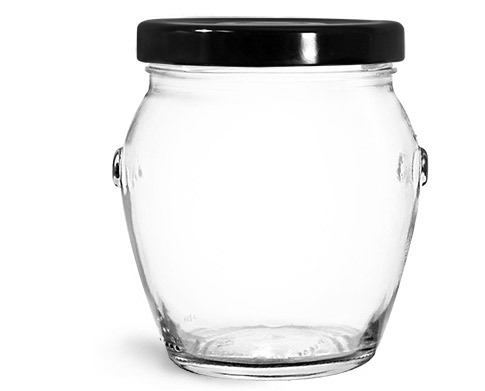 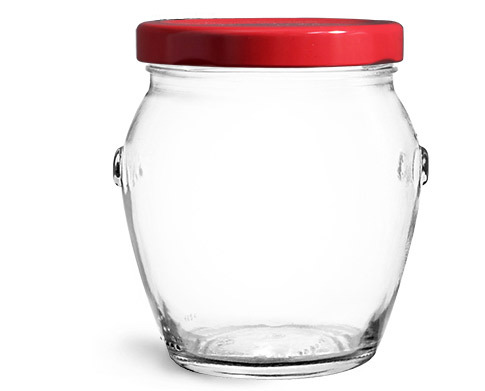 Glass honey pot jars feature tapered, rounded shapes, wide openings, and flat labeling areas. 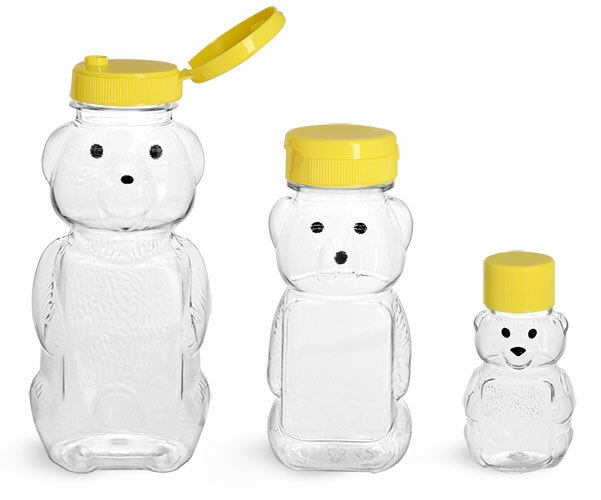 These appealing glass honey jars could showcase any variety of honey, as well as honey infused syrups and spreads.